Richard and Becky say "I do" this summer at a stunning new venue. We are as excited as Richard and Becky are about their special day. A lovely fresh summer wedding breakfast is on the menu with lots of salad with interesting leaves and a variety of edible flowers from Peter's home grown plot. They were so delighted with their food, that what they couldn't quite manage to eat on the tasting day was all boxed up for them to take away. This included the fresh sourdough bread which Peter had baked especially for them that afternoon. Richard and Becky enjoyed an evening Upstairs@PJtaste saying "Thank you we loved it"
These little gems made in on to the wedding menu but didn't quite make it home with them. at carving the joint of beef..
Bridget and Ben came to our new venue Upstairs@PJtaste. We invited them to sample a few dishes from their wedding menu. Focusing on the Roast Beef joints served whole to be carved at the table. Here's a pic of a mini version to serve our four delighted guests.Ben and Bridget tie the knot in just a few short weeks and were very keen to fine tune their menu. 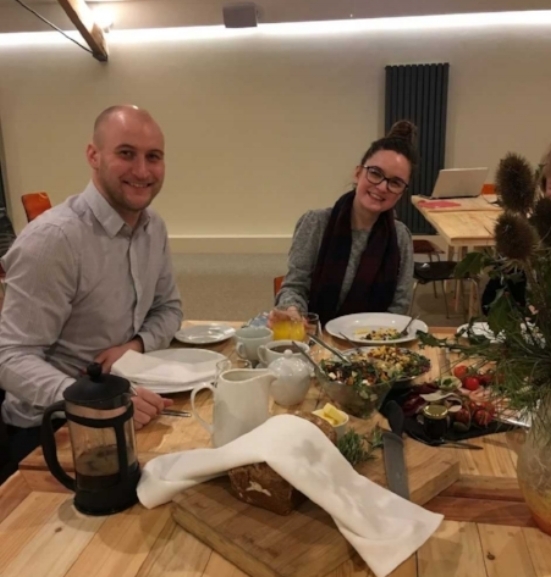 Our head chef Lee Mangles (who had prepared the meal in our production kitchen on the ground floor of our premises) was very surprised when he came upstairs to chat about the menu with our wedding couple. Ben and Lee recognised each other immediately. They had actually worked together a few years earlier. We all had a great time remenising with canapes, roast beef with all the trimmings and not forgetting delicious desserts. 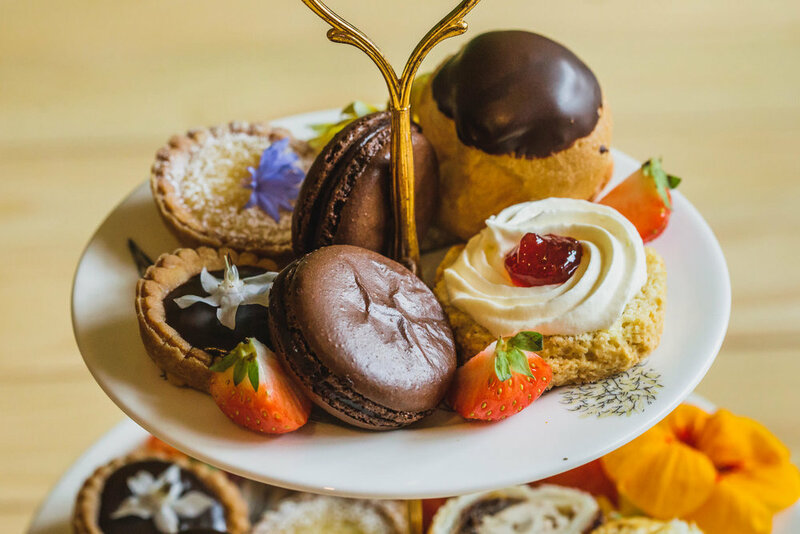 "PJ taste are experienced caterers with a passion for creating delicious food from locally sourced and own grown produce. 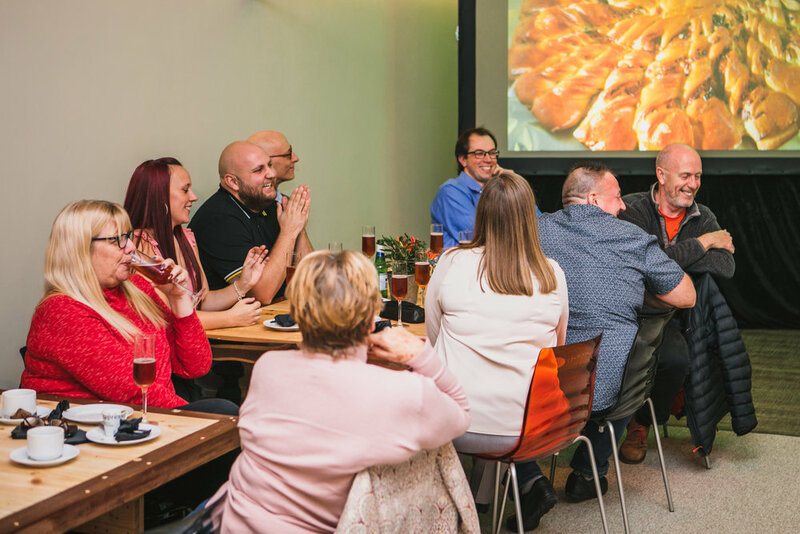 We have our own stylish 100 seat meeting, dining and event space in Attercliffe with our team of professional chefs and dedicated service staff on site to provide a really warm and personal service. 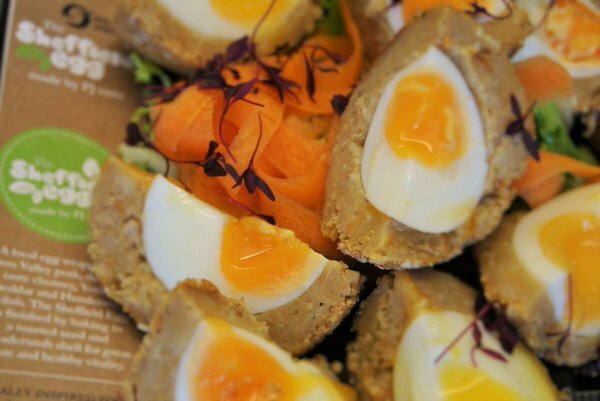 Our external event catering is delivered with our electric vans providing for a range of occasions from breakfasts to business lunches and dinners through family celebrations such as weddings and canapes receptions". Clients include Gripple, The University of Sheffield, BBC, ARUP, Wake Smith, BHP, and The Nuclear Advanced Manufacturing Research Centre. We would like to invite you to subscribe to our mailing list there is a link on this page. We will send out the occasional newsletter featuring interesting foodie stories about what we have been getting up to at PJtaste. The Sheffield Cookbook Second Helpings is a beautiful 320 page colour book featuring all the best in Sheffield's dining out scene. Postage and packing just £2.95 or talk to us about the opportunity of free delivery in Sheffield. Also available to collect from the Technology Centre, Catcliffe from 14 November. 7 Handmade Callebaut Dark Chocolate truffles with a Sloe gin Centre from locally foraged fruit packaged in a heart! 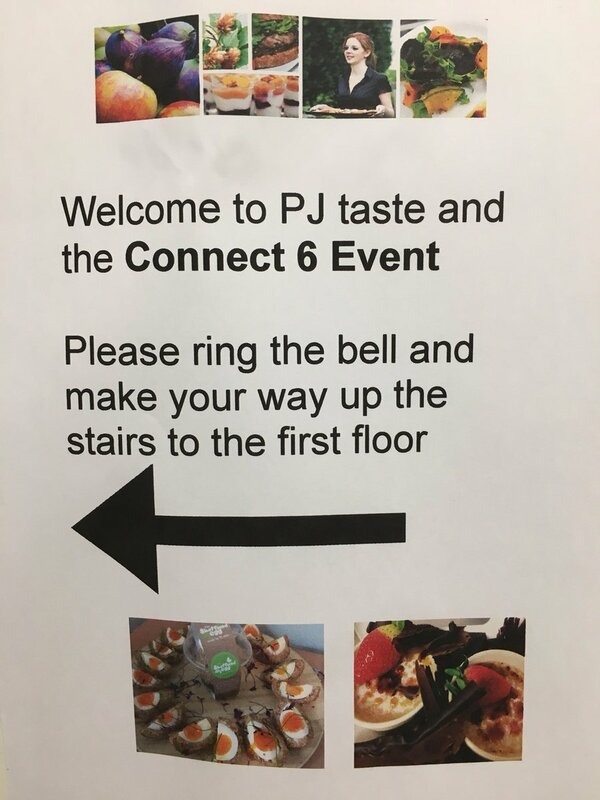 Located in Attercliffe just a few minutes drive from Sheffield city centre, Upstairs@PJtaste offers a flexible meeting, dining and event space. 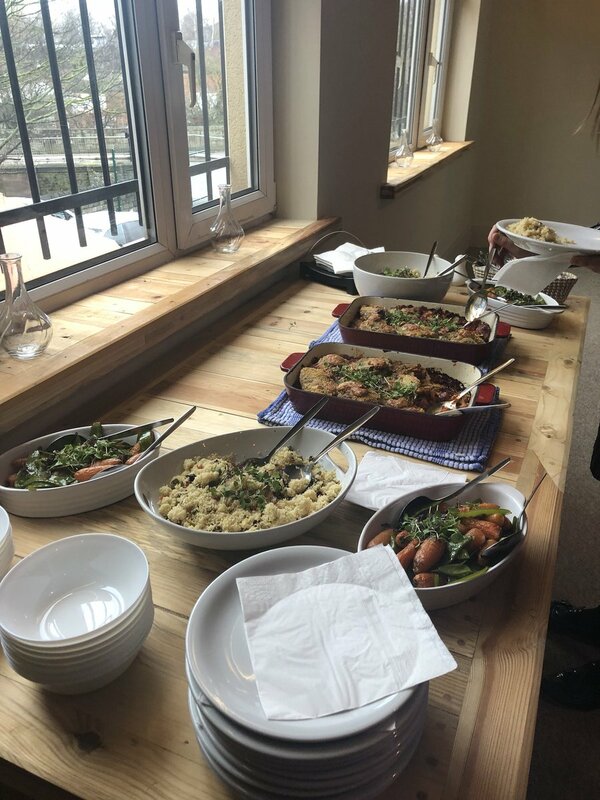 Ideal for conferences, company presentations and training courses our on site chefs serve delicious locally sourced food. Seating up to 120 people theatre style or up to 100 for lunch or dinner dining we can create unique menus and packages depending on your conference theme or celebratory event. We have some free parking which can be reserved in advance as well as plenty of free on street parking. Sheffield's supertram stops a couple of minutes walk away at the Woodburn Road stop and bus routes are available outside the building. You can't beat Champagne and truffles for a very special Valentines Day gift. Our handmade truffles have a white chocolate and sloe gin centre. The Champagne is from Guy de Chassey and is a grand Cru Brut. It is described by the De Chassey family as, "zesty apple and citrus fruit, balanced by richer, toasted brioche flavours. At just £34.95 and packed in an easily posted box its fantastic value. Ask about potential free delivery in the Sheffield area or we can post for just £2.95. Our event space today hosted another successful meeting with a group of Sheffield based small business owners. Brought together by Andy Hanselman the subject covered was recruitment and retention. Presentations were given by Louise from Benchmark Recruit and by Bhayani Law. We received lovely comments on both the quality of the food and the attention to detail with which we have refurbished the meeting room. Chef Lee prepared delicious vegan muffins as a welcome treat and a hot lunch of chicken with mozzarella. We love creating a live theatre cooking experience for corporate events, weddings and parties. We can offer Vietnamese noodles, wood fired pizza, burrito bars as well as spit and hog roasts. BBQ's are also very popular. We can travel to your event in Sheffield, South Yorkshire and Derbyshire. More details here. What makes the ideal Meeting Room? 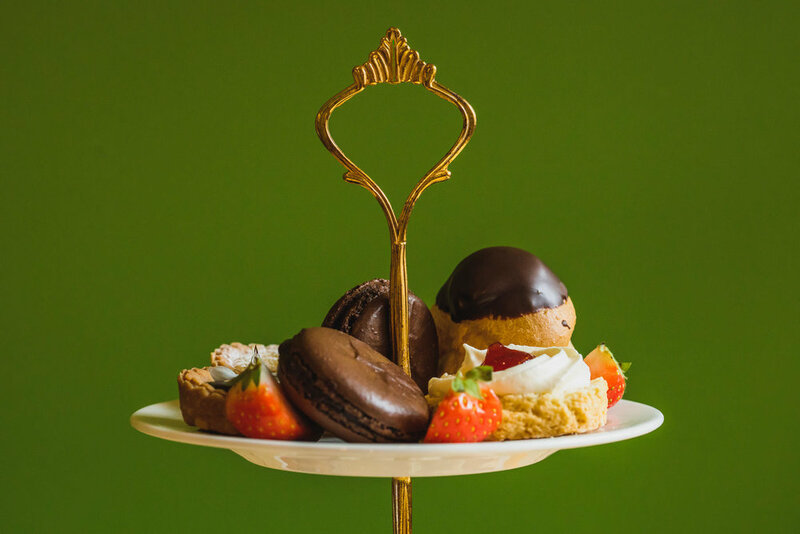 From our years of experience of catering for a huge range of meetings in Sheffield at many diverse locations here are our top 10 ten factors to consider. Our special 11th factor just for January and February this year is FREE ROOM HIRE at our own meeting, dining and event space in Attercliffe, Sheffield. See here for details. Meeting with refreshments in progress - Upstairs@PJtaste 54 Staniforth Road, Sheffield. Is it necessary? Before selecting a venue a key question is what is the purpose of the meeting. Could everybody save time by not actually holding it or could a "Virtual Meeting" be held or even the good old fashioned telephone put to use? Location. Having decided it is beneficial to get together face to face the geographical location becomes an important consideration. However, its not always a case of making it the most convenient venue for the majority. I remember when working in Scotland for Bass Taverns the meetings I attended were all in Birmingham necessitating a long jouney for the smaller Scottish contingent. An enlighted Director once decided to turn the tables and organised an Edinburgh meeting. Not only were the Scottish managers grateful but they enjoyed showing off their city and the other delegates appreciated the change of scenery. Size of the venue. A trick of PR agencies is to cram a small space with lots of people to ensure all the pictures show how well attended the event was! Not a great idea for productive meetings where people need plenty of space to feel comfortable. This extends to allow areas for networking and break out spaces for refreshments leaving the tables for formal meetings and business sessions separate. Flexibility of the venue. Having the ability to set up the room in a variety of layouts is useful along with the flexibility of the venue owners to change this rapidly and possibily mid conference is also useful. The audio visual support should also be adaptable to work equally well in each format. As caterers we also appreciate the need for adaquate space to set up refreshments and lunches preferably in a way which does not disturb the meeting in progress. Food and Drink. Often the most keenly anticipated part of any meeting, conference or training session! 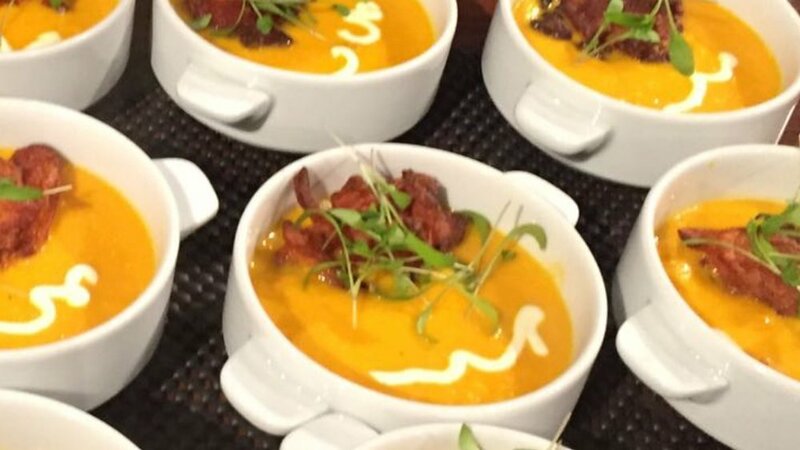 Good food delivered in a timely fashion combined with warm personal service skills can make or break the success of an event. Look for a proven track record of quality from the caterers, what their food hygiene status is (local authority inspection results for over 1/2 million restaurants and caterers can be found here) and if they have experience of delivering the type, quality and scale for your event. Ideally the caterer should be making food from scratch, using seasonal, locally sourced ingredients. Having some unique products as well as good sustainability credentials is also a bonus, as is there ability to cater seamlessly for any special dietary requirements. Wall Space. Perhaps a lesser consideration but any good training event should generate plenty of flip chart sheets for display. Flat and avaialble wall space on which to display is useful along with the blessing of the venue owner for plentiful use of blu tack! People. We all like to deal with people who get the job done efficiently but the really excellent providers are those who make it a pleasure. Its worth seeking out venues where the team in charge not only fit your needs but are able to anticipate, tailor their product espcially for you and delight. At PJ taste we have been lucky enough to work with Andy Hanselman and strive to embody his 7 characteristics of a 3D business in everything we do. Licensing and additional services. In order to serve alcohol, play live music or show film a venue must have the appropriate license from the local authority. These can be useful adjuncts for a venue as can their flexibility to provide for one off requests. As an example at a recent event for Tesco held in our venue Upstairs@PJtaste we sent out for more helium when the organisers supply for her gold ballons failed! Transport Links. Rather than relying on cars as the only feasible means of access having good public transport links is sensible. Being on a tram, train and bus route gives delegates the opportunity to leave the car at home and perhaps enjoy that complementary drink inbtoi the bargain. Quiet with no disturbances. For most meetings where the business outcomes are important, large picture windows onto interesting scenes are not necessarily going to be the most productive. Likewise noise pollution from ajoining rooms, external building works and noisy caterers are also to be avoided. Always a good question to pose at the end of a meeting! Meeting Room in Attercliffe, Sheffield. Looking for a new venue to hold your meetings, training events and presentations? Our newly refurbished meeting room at our base in Attercliffe, Sheffield is the ideal choice. 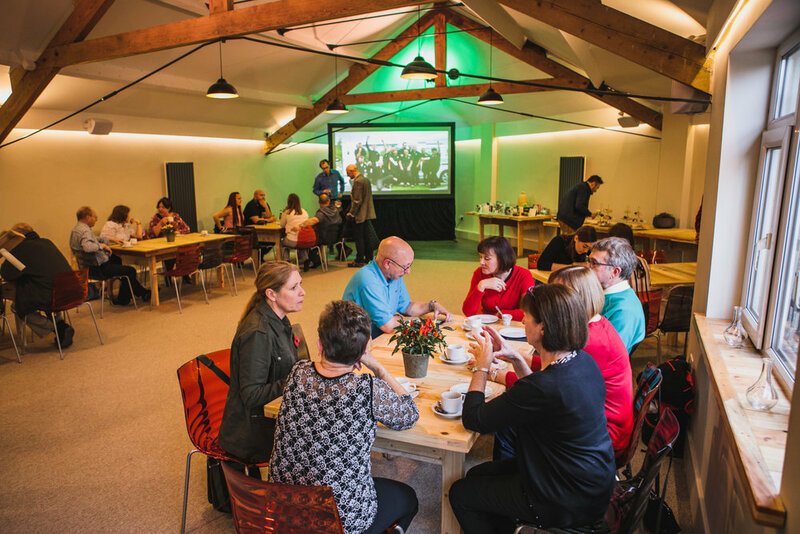 Accommodating up to 100 people with excellent parking and transport links delegates enjoy fabulous refreshments and lunches served by our on site chefs. See here for more details. For events in January and February 2018 we are offering free room hire where parties of more than 25 order catering. Simply telephone 0330 0431954 or email ask@pjtast.co.uk for more details. Sheffield Cook Book - "Second Helpings"
The last posting day for UK deliveries in time for Christmas is Wednesday 20th December so to ensure your order arrives in time please place with us by close of business on Tuesday - thats tomorrow as I write! Happy Christmas. Our offer applies to all parties ordering either lunch or an evening meal for a minimum of 25 people. The flexible space can accomodate up to 100 people and is located 5 minutes drive from the city centre with ample free parking locally and great transport links with the Woodburn Road tram and bus stops. Unfortunately we do not have accesss for wheelchair users. Our team of chefs headed by Lee Mangles, prepare creative menus using locally sourced ingredients which reflect the seasons. View some menus here or contact us to create something especially for you. Nestled beneath the majestic Stanage Edge at Cow Close farm, Sophie and James Summerlin are doing something wonderful. They are making great cheese from high quality local milk pouring all their passion and energy into the mix. The PJ taste chef team visited on the 6th of November to learn more about the process and to witness a batch of cheese making in progress. Arriving at the farm it was clear that the family are making all round improvements to the farm. It was great to see the new tree planting, the activity around the duck pond, and the developing orchard. Careful driving skills were also needed to nudge past the sheep guarding the car parking area! After donning protective coats and hats and using the hand washing facilities we entered the purpose built production area. James was an excellent guide and over the next 2 hours he gave us a fasinating insight into the art and science of their cheese making. The science is based around the alchemy of fermentation governed by the bacterial yeast and cutlures used combined with time, temperature and humidity. However, as James explained not every batch reacts in the same way even thought the scientific variables appear to be identical. I guess this is where the art of the cheesemaker comes in. Over the course of the afternoon it became apparent that the art involves the sum of lots of actions and decisions that the cheese maker takes. Many of these are I guess made subconciously based on their experience and intuition. But back to the science James outlined how a typical day in the creamery goes. With an early start of around 7am, 550lt of fresh milk is collected from a neighbouring farm. This is transported back in the purpose made stainless tank and immediately transferred to the creamery ready to be put through the continuous pasteurising machine. This is designed to bring any bacterial counts down to way below any prescribed limits and samples are taken and calibration checks made to ensure this is happening. The milk is now held in the temperature controlled creamery, a warm and humid atmospher with the particular aroma of fermenting milk a heady mix of rich cream with a lactic tang. James then runs of batches of milk into mobile tanks and adds the important cultures of bacteria and rennet. Incredibly small amounts are used (as small as 3g in the entire 550lt batch) but this given these conditions rapidly multiples and starts to form the milk into curds. Ever watchful of the time James then cuts the curds to start the process of separating them from the whey which is a clear liquid which although a by product still contains some nutrition. This goes to the hungry on site pigs which are a cross between Ironage and Glousters. On our visit we nominated Adam as the whey taster - he was not too keen on its already acidic flavour! When James was happy with the consistency of the curd the next crucial stage was filling the moulds. He expained that these had been designed and made specifically for their trademark Stanage Millstone Cheese by Sophie. Quite an ingenious design which allows the central tube to be removed later in the process to leave the millstone effect. Whilst on the moulding table excess whey is still being dispensed with through the open mesh floor, a process which is further encouraged by a mid way turn of the moulds. Quite a skilled operation and repetitive given the volumn being made. On to another table to free up the moulding table for the next batch we got our opportunity to help with a further turn. This operation was not as easy as it looked given that the cheese was still in a semi set form and a dextorous touch was needed. When James and Sophie are happy with the consistency of the cheese they are transfered to the "hastener", a humidity and temperature controlled space which gives them an overnight opportunity to continue the crucial formative fermentation. The following day the cheese are transfered to a special maturing refrigerator which is set to maintain a constant 13C at a very high level of humidity. It is here that the flora of penicillin and yeasts from previous batches work their magic and start to build up the distinctive white bloom of mould on the surface. This is the Penicillium bacteria and is perfectly space to eat unless you are unlucky enough to have a specific allergy to this mould. Over the next week this process continues with some sweeps through the shelves to hand pat down the mould to ensure that it is evenly spread over the cheeses. It is during this time that the cheese is ripening from the outside in, the initially chalky white interior being turned in to the more liquid and distinctive great tasting cheese. After 5-6 days the cheeses are wrapped and tranfered to a larger walk in fridge where further maturing for around 3 weeks takes place. Again conditions of storage are crucial and the humidity levels have to be kept at around 70%. At this point in the day James brought out a number of cheeses at different stages of ripeness and we were able to sample them to see how the flavours were developing. We also got the chance for a sneak tasting of a blue cheese version which was a pleasant and interesting development of the original flavour. Whilst the couple were not happy with the level of blue mould that had built at the time of our visit, I am sure they will work hard to bring this new cheese to market at some point soon. With our day drawing to a close we made our way back to Sheffield, enjoying the sunset from Stanage Edge and full of admiration for the dedication and hard work which James and Sophie put into every cheese. We thank them for their generous hospitality and for sharing so much of this fasinating process. Stanage Millstone Cheese is available at these stockists and you can often catch James and Sophie at Sheffield and surrounding area Farmers Markets. There is some additional slightly more technical explnations of the science in this Guardian article and here from the Reluctant Gourmand. We were proud that on the 3rd November Sheffield's Lord Mayor, Councillor Anne Murphy, took the time to help us officially mark the opening of our refurbished meeting, dining and event space. With an audience of invited local Sheffield people representing the people who had worked on the project, past staff and customers we enjoyed a PJ taste afternoon tea and a sparkling toast made with local foraged cherry vodka. Guests included Chris Wade from Architects Burnell Biercliffe, Stephen Thompson from Moss Valley Fine Foods, Jill White from Andy Hanselman Consulting and Ollie Allen the talented young carpenter who designed and installed the ash stair rail. Paul and Rob Rogers the main builders were also present and without their dedication many of the clever design features would not have been included. Indeed the Lord Major commented on how impressed she was that the refurbishment had embraced all things Sheffield which extended to the Daniels Bros who made the tables from reused pallets at the Portland Works and even the sound system which was made by Cloud Electronics based 200 yards from the premises on Staniforth Road! Peter Moulam who along with John Fitzpatrick formed the company in 2006 said “After many years providing creative locally sourced food at venues throughout the city its great to be planning events in our own space. Having full control of the food, service and venue we can really push the boundaries to showcase our trademark locally sourced and increasingly own grown produce. We are looking forward to hosting a range of local business meetings, training events and presentations as well as private dining, weddings and parties. Our full liquour and entertainment license along with our flexible and individual approach will give our guests the great choice. The final detail of the whole project was the bespoke ash handrail made to complete the new staircase. Sourcing most of the wood from PJ taste's own plot and from a forest garden in Doncaster and Ollie Allen a talented local tradesman designed and installed this impressive feature. Using this project as part of his portfolio it was great to see him winning the Carpenter of the Year 2017. Its all the little touches behind the scenes which we really work on to ensure that we deliver above expectations. We are please to announce that the first customers have now experienced our newly refurbished meeting, dining and event space at 54 Staniforth Road, Attercliffe and have pronounced it "superb". A corporate thank you day was organised by a major retailer, treating their staff to a champagne reception and delicious afternoon tea. We received many comments about the comfort of the space, the exciting visual appearance of elements like the bespoke ash handrail and the restored old roof trusses. 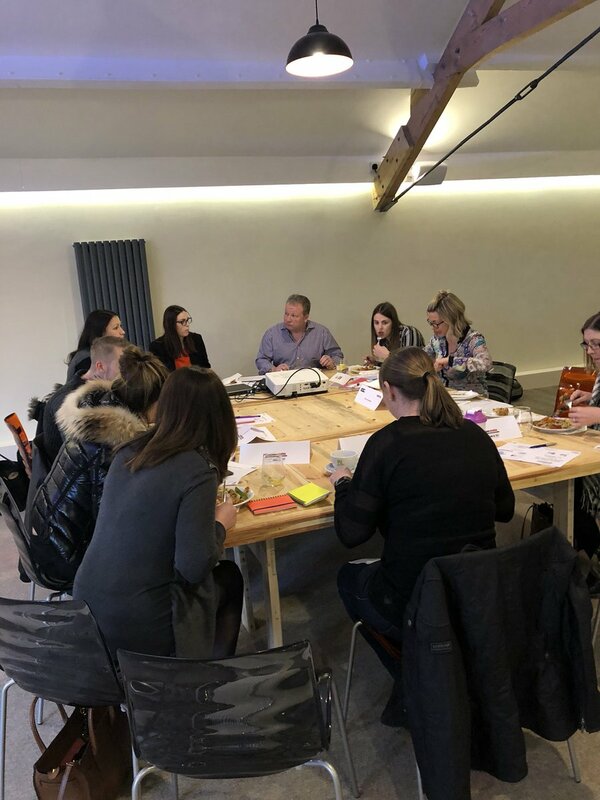 We are currently taking bookings for a range of events from business training sessions, wedding receptions, private dining parties and corporate meetings. We have a very bespoke service and offer unique menus for each event to ensure our locally sourced catering meets individual needs. Lee Mangles, PJ taste's new Head Chef is this year once again in action at the Chatsworth Country Fair. He will be found on Friday and Saturday "sandwiched" between Mary Berry and Paul Holywood in the Cookery Theatre. There is a synopsis of all chefs here and here is the full schedule. This year Lee will be demonstrating two PJ taste classics, The Sheffield Egg and our infusions of local herbs and fruits, Citrus HIts. The Sheffield Egg has an interesting story - although we say it ourselves! The Sheffield Egg recipe as it appears in The Sheffield Cookbook, Second Helpings is here. The seasonal flavours of Citrus Hits Lee will be demonstrating are Rosehip with Hibiscus and Orange and Blackberry with Orange. So this seems as good as any time to relook at the labels of all the flavours which feature some iconic Sheffield scenes. Here they are! This week Ollie Allen has been cutting the Ash from the plot they look after near Doncaster to create the bespoke handrails for our new staircase. Not only is it exciting to be collaborating with such a creative guy but it will be the last element before we can officially open our new venue! We are looking forward to welcoming the first guests who will be enjoying the unique space to hold a traning session. Our Chefs table for lunch promises to be a highlight! I am also pleased to be contributing so some ash poles cut from our own plot last year. These have some great natural kinks as well as angles from their original grafting joints so will help navigate around the contours of the staircase. Looking forward to sharing pictures of the finished creation. It was action stations this morning as on my usual morning round in the garden I spotted a large swarm of honey bees in the old oak tree. In all probability these are from one of my two hives, which if so are indicative of a novice bee keeper having not be aware of its imminence or taken suitable preventative action. Actually I had observed that the hive from the swarm I caught in Heeley in May was going through strange times. I had seen a number of what I felt were supercedure cells being made in it. These are contructed by the female worker bees when they sense their current queen is starting to fail, that is her egg laying performace is deterioating and so threatens the future survival of the colony. Further than this eight days ago I had actually spotted what I assumed was a newly hatched queen and heared her “piping”. The video below has a small segment of this amazing vocal performace right at the beginning – its actually just two hoots from what was a quite prolonged and loud experience - you have to listen hard in the first two seconds! My thought at this time was to leave well alone feeling that it was late in the year for a swarm ,the numbers of bees in this hive was not huge and that this new queen would take over in a perfect supercedure. This is a term bee keepers use for the situation where the new and old queen can actually live together for a period. Its perfect as it reduces the gap between the old queen stopping laying and the new starting to lay new eggs. I managed to catch the swarm by cutting down the branch to which they were attached attempting to drop this into a large cardborad box I positioned below. This did not go quite to plan with most of the branch missing the box meaning there was a lot of extra scooping to do in the undergrowth. I transferred the bees from the box into a “nuc” hive (a smaller specially designed bee hive for new colonies). Meanwhile “loose” bees were forming another smaller swarm on a branch close to the one I cut meaning another adventure up the ladder. I hope that I have got the queen and that the bees are happy to settle in this new home. If so there is a chance that I will increase my colony number to 3, giving more beneficial pollinators for the garden and beyond and the possibility of a local honey crop next year. Our refurbishment of Upstairs@PJtaste is very nearly complete and we are taking bookings for September! We have taken time to ensure that we respect the heritage of the building (dating back to 1850) but also wanted to add some interesting and bespoke new features of our own. The final task has been to construct and fit the handrails for the new entrance and staircase. I am excited to have teamed up with talented local craftsman, Ollie Allen, and together we have designed a solution using local Ash (in fact some of it grown on our own plot). This will have a sculptural feel and will hopefully appear to grow from the wall! We are very happy with the warm feeling that we have created in the main room. The natural colours in the grain of the wood from the handmade tables matching the original wooden trusses and working well with the Caligaris chairs. Roger Greensit provided all our plumbing input and made an excellent job despite being challenged with 10 inch concrete floors and very demanding clients! The growth in demand for our catering both at corporate and private events as well as within our new venue at Staniforth Road means we are looking for people to join us. The positions are for the moment on a part time basis and we are looking for enthusiastic individuals for both customer service and kitchen work. Experience can be useful but a desire to give amazing service and an interest in excellent local food is essential. Work continues on our major refurbishment to give a unique meeting, dining and event space at our base at 54 Stanifoth Road, Sheffield. On the building work front it has been been great to see the faster progress now as Farlwoods, our excellent construction contractors from Sheffield, complete plastering in the main room and tackle heavy concrete work removing the old staircase. This will make way for a much more open and pleasant entrance and staircase. This area will be completed with a kitchen, toilets and circulation into the main room. With an opening date in May we are now working on the detail for the interior. We have been fortunate to discover a talented Sheffield based lighting designer. Diala Dajani has worked with our plans to advise how we can achieve flexible and stylish lighting solutions. Flexible as the space will need to accommodate a range of events from business style events to more intimate dining. And stylish in the sense that we enhance the buildings features particularly its industrial heritage and to show off the beautiful roof trusses. Working with local furniture suppliers, Ponsford, we have selected some contemporary Italian designer chairs. We hope these will provide an interesting contrast to the very organic tables being made from reused pallets by the Daniel Bros. Finally tiling for the toilets has been sourced from Nick Firth just down the road from us and vertical radiators in an anthracite colour are being fitted. Can't wait until we can show you all around! Having stripped the building back to the brickwork the excellent builders from Farlwood have progressed really well in the last week fitting thick insulated boards in the roof and all the walls. Its amazing to see the skill of the plasterers as they complete a perfectly smooth finish to these surfaces. A really interesting discovery has been a set of mermaid like gargoyles found embedded in the concrete running up the side of the staircase. These have only been discovered as this old staircase is being removed. Five of the cast iron figures were found behind a couple of layers of plaster mounted every foot or so onto a timber backing board. At least a further three appear to be fixed behind a steel beam across the head of the stairs. As this part is to be removed too we shall see if we can recover any more. We would love to hear from anyone with any thoughts about what or why these were here. In the meantime we are going to have a go at refurbishing them - some are missing various parts and all need a good clean. Aside from the building work we have been planning the interior details. Its great to have skilled suppliers so close on hand. Aries Lighting in Darnall is working with us on some feature large hanging pendants, Full Volume looking at the AV installation with speakers made at Cloud Electronics (both based 2 minutes walk away) and the Daniel Bros are working on tables, curved feature walls and window sills!